Old TOP 1 and 2 Player returning. Hi Guys I played TOP from the year it launched up until the day the closed the game. I was looking for a game that played like top. Not too easy. after looking for a while and playing a lot of private servers. a friend told me about pirate kings and i had to check it out. I havn't seen the new one. I've only played 20min on PKO. I'll play when i get off work. PKO is more like TOP1 than TOP2. Although manufacturing/crafting/cooking are in the game. Stay away from analyze as its not in the game. you can still buy the skill book for some reason though. 2nd gen fairies but no mordo or mordo jrs. Abandon is still very fresh too and you can only rebirth once currently. From what I understand they are trying to keep it more "vanilla" and release content as the number of higher level players goes up. Currently the level cap is 90 and exp is 1/2 after lvl 70. that will be raised to 75 once 5 players are lvl 90. Chaos Argent exists and is pretty popular and I think the Mirage cities are fairly new too. FC is pretty busy and DS isn't bad. DW is pretty dead from what I hear. No UGs in mall so their prices are a pretty high for rages/colo/wind/spr. but like always strike is in the dumps lol. Black dragon armor is pretty rare as it should be and BD gems are hard to get unless you are in the top 2 guilds which require you to be 75+. Oh one thing to note about gems, the gem caps at lvl 5 for regular gems and lvl 3 for BD gems and only 2 sockets. You cannot put a rage and a cracked/broken rage in the same weapon, but you can put a spirit and soul gem into the same weapon if you are a magic class. Sealmaster's do not have the updates that existed in TOP2 so no mini stun or damaging seals. I think that sums up most of what you might be wondering at this point. Not to say Mordo Jr won't be released, it just hasn't yet. I hear that the second rebirth quest will be released, but no official timeframe has been set or announced this just came from chatter on the discord discussion fourm. The server has about 500 active players almost all the time and peaks during the weekend, but if you were used to the old TOP2 crowd it will feel a lot smaller than you might be used to. Things sell a little slower, but you can get access to most things you might be looking for. Just need to be a bit more patient. say goodbye to kylin as it will likely never be released in this version too. but who knows, I'd personally think raising the level cap to 85 on both Kylin and Grandiose would be ok, but thats a discussion for another fourm. thank you for the detailed response I appreciate the time you spent to type it out and explain the whole mission and feel of the game. I'll definitely stick around and play the game as it has sort of the same feel as top1. I hope that they develop the game further and release updates and stuff as the time goes by, to keep the game interesting. I seriously hope that the raise the level cap when the amount of players reach level 90. I hope they bring in azreal gems and raise the forging levels. But I understand if the don't. It will create a more balanced game. When you say that strike is always i the dumps. What do you mean? This is a great informations for new players (old veterans) to the server, a lot of good point being pointed out, well done mate. Kylin would most likely not be released considering it is pretty over powered judging by the effects you gain for using the whole set, but in return you also loses hitrate and dodge while using it, but who knows it might get release in the future? grandiose is super high stat gear compare to any other gear, with the 18 each stats and 35PR passive, it is a brokenly overpowered pcs of armor, i dont think its okay for it being in the game at all, unless they made it that its so freaking hard to get that you have to do combination of many ULTRA DIFFICULT things to get it (im talking about harder than making DE gears or corp bd gear) oh yeah speaking of corp bd gears, corp bd is actually really really good gear for crusader, having the advantage of stuning people with insane amount of time and also having high movementspeed while keeping with high hitrate and dodge is just insane. Well I mean that as a class SS is difficult to play since you are naturally squishy and thus much harder to play than your slash and run characters. Striking gems are about 1.5m-3m nowadays whereas rage are about 18m, colo are 10m, and wind are around 10m too. Like in previous versions Crusader's are vastly more popular so their is a much higher demand for the gems they use. Not easy playing a SS in the land of 1 hits and stealth lol. I still love the class though, although i really want some good bows to be released since I would love to make a viable bow SS. just personal preference tho That's all i meant by that comment. 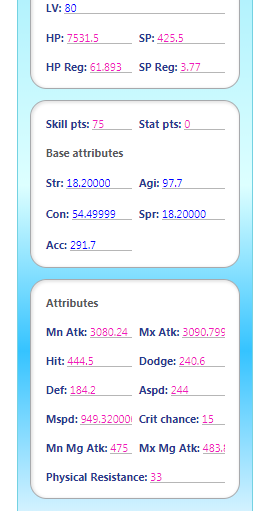 The thing is Bow ss is not that good because it loses in skill compare to gun, ss can only slow down the opponent with frozen arrow, but the cooldown for it is much much longer than cripple, ++ cripple can be recycled using it over and over on 1 person. Bow ss doesnt really have any CC which is pretty sad. At first i thought i could make a somewhat decent bow ss but in reality it loses to gun ss considering the amount of damage u gain from gun mastery, sealing skills, and flat damage skill like headshoot.... all those advantage just wins over a bow. Thank you for replying. I also love a Bow SS and in the original game Lvl 110 bow was pretty good. but lets see what the developers have in store for us. i hope they bring this game back to glory. This game is already back at its glory, if you're a big fan of the oriignal tales of pirates 1, you will love this one! And not to mention the stability, server is and feels very stable! This game is already back at its glory, if you're a big fan of the original tales of pirates 1, you will love this one! I do appreciate the stability of things. Top level characters aren't so over the top that you can never catch up. Also with a cap of lvl 3 for BD gems its gives them a chance to gem up then an incentive to sell the gems on the market. Of course for what they are worth 60-120m. What was your Character name and server?